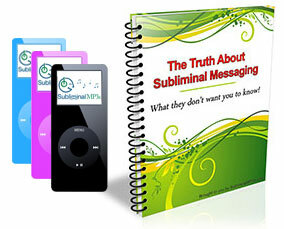 Develop a positive attitude with our powerful subliminal mp3s. Change the way you see the world and look forward to a brighter future! Do you have a tendency to see the glass as half empty? Do you always keep imagining the worse possible outcome in every situation? Do you think you'd be happier and more action oriented if you saw a positive side of things instead of always looking for the negatives? If this is you then these subliminal messages will slowly change the way you think, and the way you react to things in life. They will help you focus on the good things in life and forget about the bad. Simply ignoring some of your worries and focusing on some of the good you have can make a dramatic change in your life. With continued use you will start to see opportunities even when under negative circumstances. In every negative situation there is some positive to be found, and where other people give up you will look for the chance - and simply because of this, you will find it. More and more you will notice the positive even in a negative situation. This has so many benefits, firstly helping you cope with the circumstances and making them not feel as bad, and then actually really helping you to get through it. In time positive thinking won't be something you try to remember to do - positivity will just infiltrate your life in all areas and become a natural part of who you are. We are all attracted to positive people - we want to be around them, but this is not the only advantage of developing a positive attitude. Truly positive people go further in life. They stay upbeat, they don't get depressed, and more opportunities actually come to them - not by some magic force, but whereas other people think negatively and get depressed, they stay positive, focused and find an opportunity. Download this album today and start living your life to the full; attract other positive people to you, gain more opportunities in life and make the most of every situation you find yourself in! To get the most out of this album combine it with our Stop Your Worrying subliminal mp3.